Summer Tennis Camp registration now open!! Register now and choose any week you want. Footwork, strategy for singles and doubles, match play, fun games, stroke production, Wimbledon week, nutrition talks, court positioning and more. 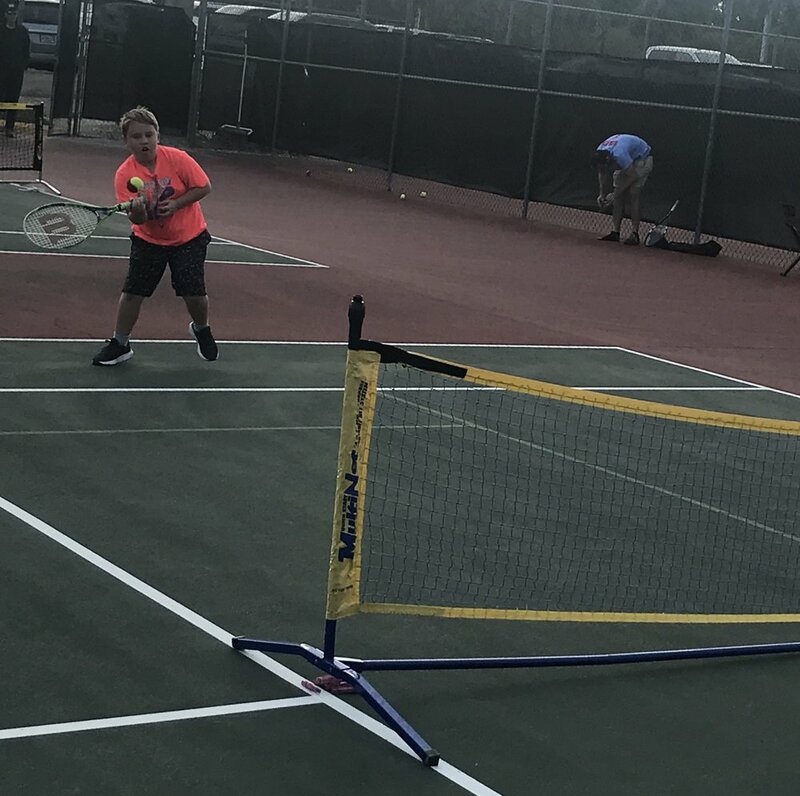 We had 8 players registered for our 2nd Red Ball Challenge in which all the kids played a singles round robin style of match play and at the end doubles with their partner of choice which were friends, family or favorite tennis pro. We had a blast enjoying tennis, pizza and awards for 2 hours at the tennis courts in which we had a great audience of parents to support their favorite tennis players. Love it!! Congratulations to Lana and Caroline who earned the most in points and will be moving on to Orange Ball. Followed by Ryan, Davison, Kian and Desmond who did an excellent job with 4 players doing our red ball challenge for the first time. Kian going for his backhand. Caroline reaching for a high forehand return. Lana warming up before match play. Dynamo Desmond dropping in for Rally Ball. Davison moving out wide for his forehand return vs. Ryan. We will be holding our 2nd RED BALL CHALLENGE in which all 8 & Under tennis players will have a round robin style of match play (1st to 7 points). We will also have courts for target practice and games. Challenge our pro’s and pro’s assistants in match play. $20.00 per player for registration which includes tennis, pizza party and awards. 10am - 12pm - All levels of play are invited to come and participate. We welcome all clubs or individuals to join us. 16 available spots to play. SJTA Academy student Kyra Gravelle wins finalist in the local Grand Prix. Kyra played her 3rd Grand Prix and won finalist today beginning her journey into local tournament play here in Jacksonville. This young lady has improved so much in Tennis this past year. We are proud of you Kyra and Coach Estella DePaula working hard on the tennis 🎾 court! Your persistence paid off today! We are excited to announce our very first RED BALL CHALLENGE which will be a round robin style of play in which we will pair the players up to play as many matches as possible. We will also have available stations for target practice and games for a portion of our challenge. We will have pizza and prizes at the conclusion of our challenge. Hours of play 10:00a.m. - 11:30a.m. You can register on our website under “RED BALL CHALLENGE” - 18 PLAYERS maximum. All players must wear lace up tennis shoes, bring water and racquet. If you do not have a racquet we have demos to borrow to play for this event. This event will count toward play points for our 10 & Under Academy SJTA players for skill level evaluation. Mal Washington Gala & Pro Am Tournament fundraiser. 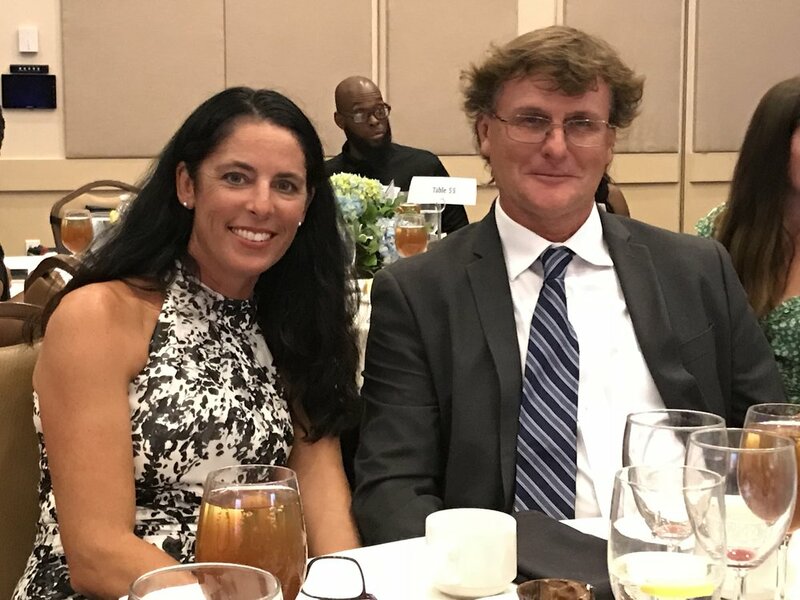 Over $200,000 raised for MVWF and their new high school tennis facility, a second edition tennis center for tennis and education. Tuesday- USTA Junior Team Tennis and Net Generation sign up! come join us at Mills Field at 5:00 to get your tennis student signed up for Net Generation (10& Under tennis players) and USTA junior team tennis for match play and team challenges now and in the future! Very important weeks in our Academy in which we celebrated Wimbledon week , themed with wearing all white, strawberries, serve and volley like they do on grass! Singles and doubles strategies. We also celebrated by participating in USTA Orlando Sectionals tournament and won 2nd place in all of Florida! Go SJTA Ace Breakers who played u14 intermediate which was quite competitive and very close in competition. We have worked on consistency, shot tolerance and singles strategy in week 1. Shot patterns, serves and returns in week 2. All things short court volley, half volley, overheads and drop shots in week 3. We have more work to cover week 4-7!! More room in our Academy classes for July so please come join us at Creekside High tennis courts to learn and have fun! 10 & Under Orange Ball team takes the courts! Swiss Point and Liberty Pines students may come either day during the stated times above and only need to tryout once. Each school may have multiple teams chosen depending on how many tryout. Please attend whether you are beginner or experienced! Mandatory Practices to play in matches will begin the week of February 6th for both schools. We will have two practices per week the first two weeks then once a week each week after. Swiss Point Middle School practices will be Tuesdays/Thursdays 3-4pm the first two weeks, Tuesdays 3-4pm each week and matches played on Thursdays each week. Liberty Pines Middle School practices will be Wednesdays 3-4pm and Fridays 5-6pm the first two weeks, then each Wednesday 3-4pm practices and matches played on Thursdays each week. All Clinics will start again January 8th. Christmas Tennis Camp pictures. Below are some pictures from our tennis camp. We had a small group this year but had fun after all the rain cleared. Layered up for a cold day of tennis but warm from our footwork and hitting drills. Sean likes his gift he chose from our ornament exchange. Lunch break between drills and round robin. December 27th - 29th our Academy will be having our annual Christmas Tennis Camp 9-12 pm for 3 days which will include a tournament and pizza party with ornament exchange on the 29th. RSVP to heather.lester@me.com $100 check made out to "SJTA". 16 available spots. Levels intermediate to advanced only! A weekend for Mali Vai Washington Foundation fundraiser. Our student Allie Bielski represented us at the Gala which brought in a record $310,000.00 of donations. Followed by the Pro Am tournament at San Jose Golf and CC. Our Thursday Red Ball class! All clinics and match play will resume Monday, September 18th at Mills Field. This includes all our programming Ladies FCTA tennis, all juniors and 10& Under programming. Our Junior Team Tennis team match play will begin Friday, September 22nd at 4:30. I will send out emails for match schedules pertaining to USTA JTT. Team SJTA Ace Breakers competed in sectionals championship this weekend in Orlando at Red Bug Park. What a fantastic group of kids who played three days of tennis 25 matches. We have two more weeks to go! If you want to sign up for more classes or join we still have room. Registering now for Fall tennis classes starting back Wednesday, August 16th. 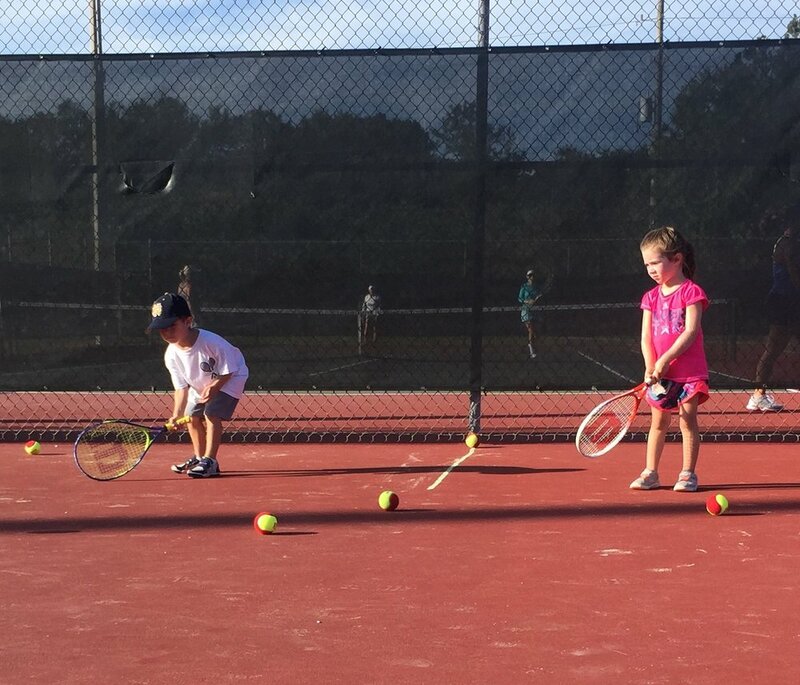 Blogs, Registration to sign up for tennis camps and clinics, guide to local tennis academy for group and private lessons in the Saint Johns County area of Jacksonville, Florida. Each student in our 10 & Under program will need to register online with NetGeneration, which is a free account, to participate in Junior Team Tennis and Challenges for match play.